We are pleased to announce that we offer ZERONA Non-Invasive Body Contouring treatments. 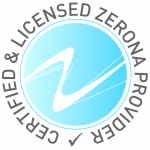 ZERONA laser treatments are the most effective way to remove inches of fat from problem areas. ZERONA utilizes your body’s own fat burning capabilities and lymphatic drainage system to reduce fat and body circumference in as little as TWO weeks. Typically, the patient will need a minimum of six (6) treatments over a two week period to achieve the greatest results. The treatments are painless, safe, and affordable. See for yourself the latest technologies available for problem fat reduction and body contouring — what do you have to lose but the fat!